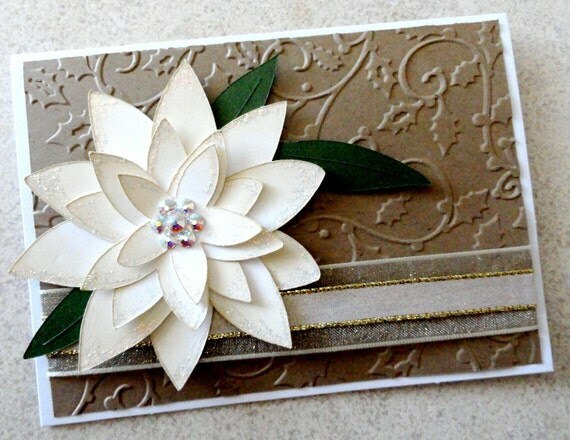 This gorgeous poinsettia card was handmade with time and attention in every detail. A swarovski crystal center makes this card really sparkle. Card comes with a matching white envelope. This card and more can be found at champagnepress.com.